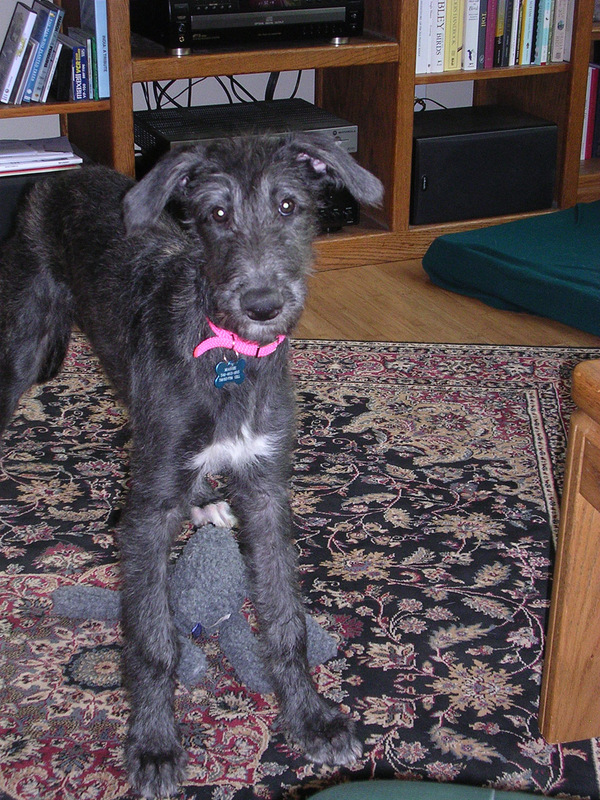 Here’s Maggie at sixteen weeks. Now I wear the nurse hat. Everyone agrees that this dog is far too alive to euthanize, even though her recovery will take endurance on her part, and a great deal of human attention. My job is to remain in the present without preference, and simply serve. This is our life right now, and it’s a wonderful reminder and teaching for us. Although I do most of the medical procedures, I couldn’t do this without my husband, who provides fabulous and steady backup, and helps hold this very large dog who is getting her strength back. Mostly, she simply accepts our ministrations with the gentle attitude you see in her eyes in the picture, even when it clearly hurts. She has never even whimpered. What a role model. In her own presence with what is, she amazes and teaches me. and tons and tons of towel laundry. See the length of her tail at sixteen weeks? Imagine how long it is now, as a full-grown adult! 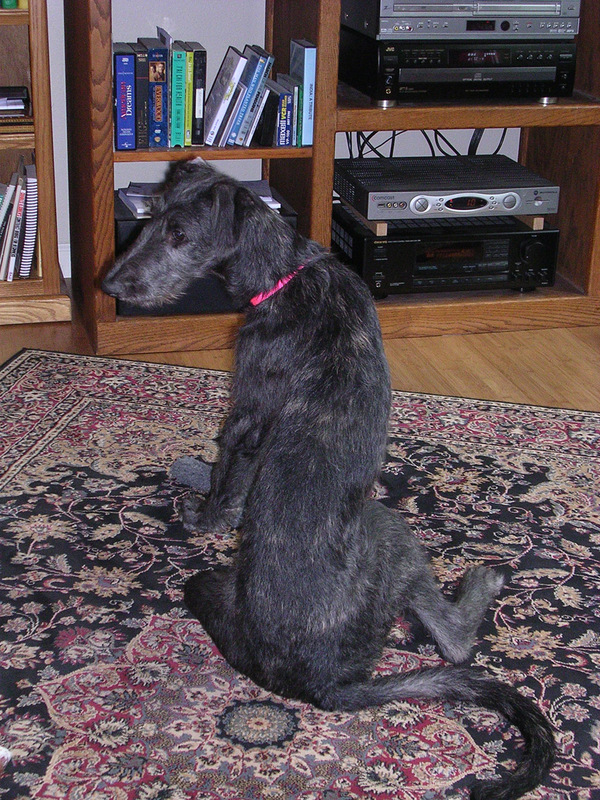 Her tail is shaved from the top to within ten or twelve inches of the end; her whole right hind leg is shaved. She is quite the sight–but of course has none of the self-consciousness that we humans suffer from. Please, keep sending us breaths of good will. We aren’t out of the woods yet, but right now, she is improving. thank you for sharing this touching and intimate story of love. She is precious and you are lucky to have each other. How lucky Maggie is to have such a loving, caring, patient and present family. Prayers & Love still continuously flowing to you all.